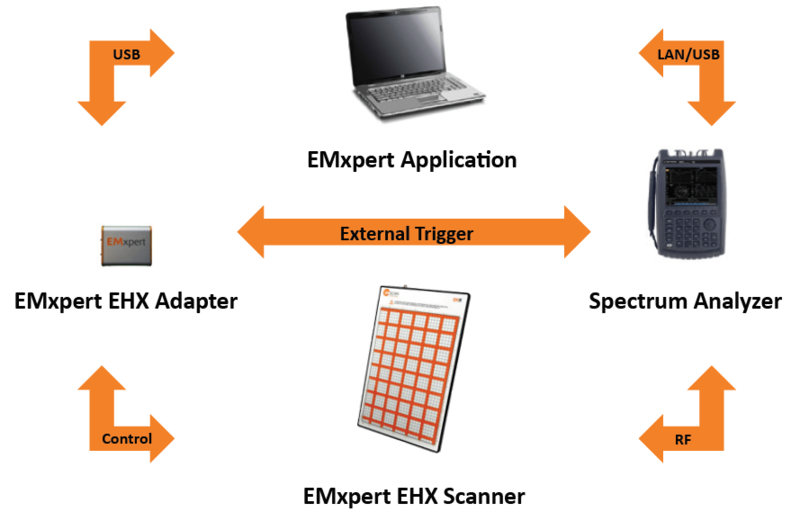 The EMxpert EHX system consists of a patented scanner and compact adaptor, and of a customer-supplied spectrum analyzer and PC running EHX software. 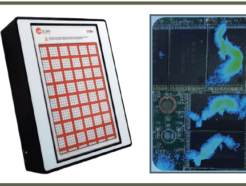 EHX diagnostic capabilities allow design teams to reduce EMC/EMI radiated emissions testing time by more than two orders of magnitude. Users have also documented fifty percent reductions in design cycle times. 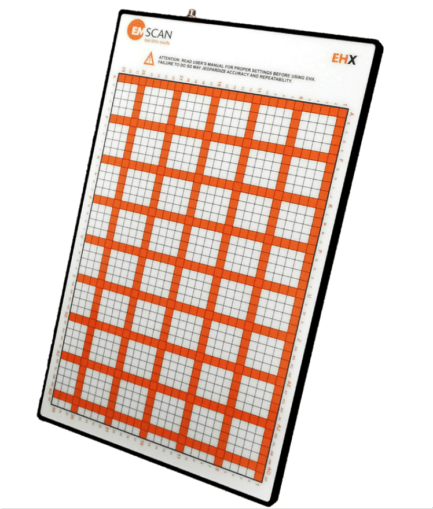 This allows the design team to immediately analyze and compare design iterations. Ideal PCB projects for EHX are boards designed for high speed, high power, and/or high density/complexity. Any PCB that places a premium on board real-estate also qualifies as an excellent candidate. The compact, flat scanner provides PCB design teams with an easy-to-use, cost-effective, and proven tabletop solution. Emission, immunity, filtering, EMI shielding, broadband noise and Common Mode testing are some of the applications that the EHX system addresses in mere seconds. Email us to arrange a demo on-site or via Skype.